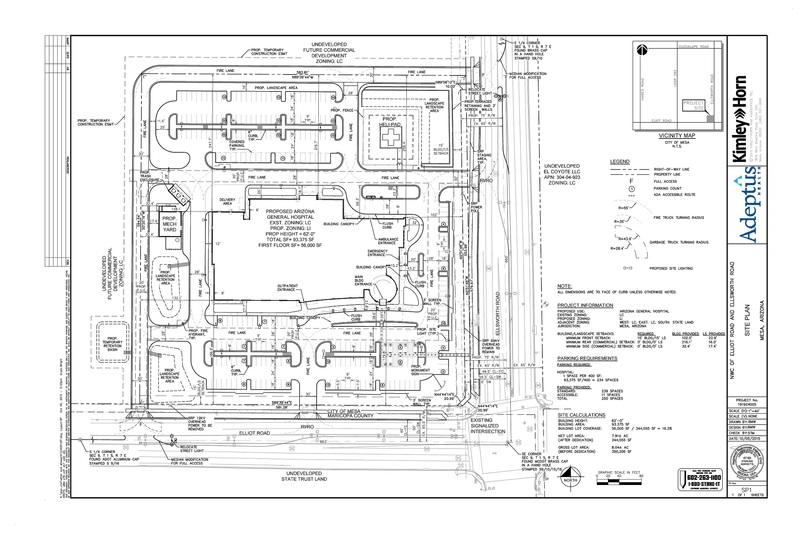 Dignity Health has proposed plans for a new Arizona General Hospital on the North West corner of Ellsworth and Elliot. 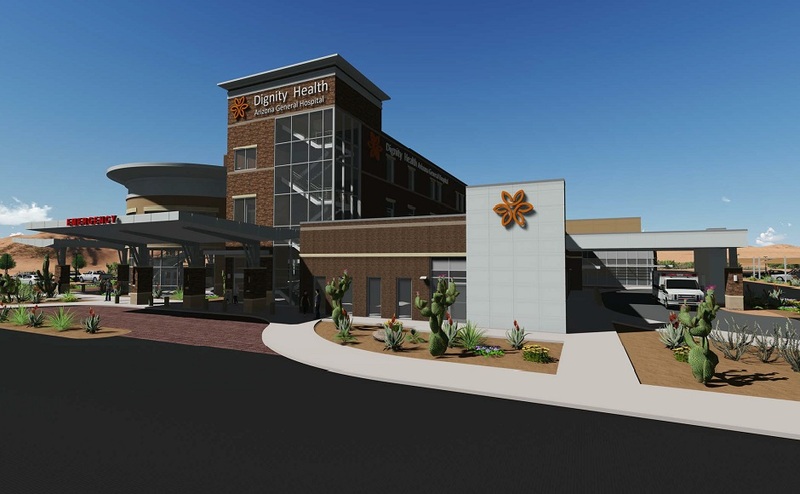 This will be another joint venture between Dignity Health and Texas-based Adeptus Health, which opened freestanding emergency rooms in Gilbert and Chandler earlier this year. The new hospital has been designed by Acension Group Architects as a 3 story, 92,065 square feet building housing over a dozen emergency stations, 4 operating rooms, 46 private inpatient rooms, and a pharmacy. Arizona General Hospital’s Mesa location is expected to open in Spring 2017.